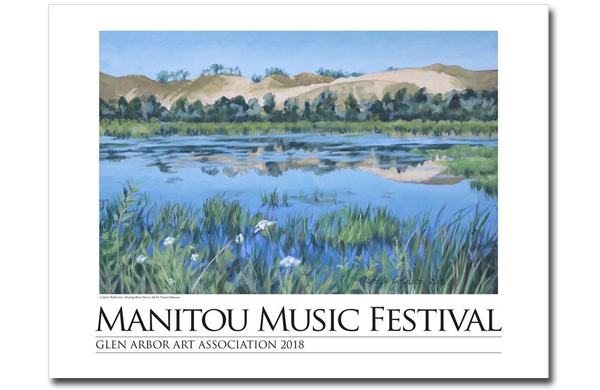 Livonia, Michigan, painter Dawn Johnson’s view of the historic Mill Pond along M-109 has been selected as the iconic image of the 2018 Manitou Music Festival (MMF) poster. The Manitou Music Festival, one of the GAAC’s summer highlights, offers a series of live musical performances between July and August. There were 25 entries from Michigan, Ohio and Illinois for the 2018 poster competition. It’s open to all GAAC members. Copies of this year’s poster will be available in the spring. The cost is $18.